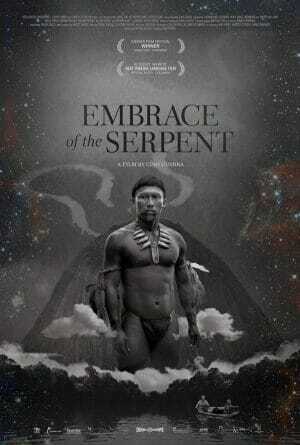 A spiritual journey into the heart of the Amazon River and its mysterious past. Columbia’s 2015 film ‘Embrace of the Serpent‘ is pure awesome. As historically relevant as any documentary and as adventurous and dramatic as anything Hollywood. You just can’t look away from these big, bold, and black and white Amazonian landscapes and all the mysteries they hold. Spanning decades, our guide the shaman Karamakate (played through generations by both Nilbio Torres and Antonio Bolivar) tells tales of Western expeditions and the destructive wake they’ve left upon the darkly enchanting otherworldly world along the Amazon river. A place where every step taken ushers up a cacophony of life as the lush forest swallows our adventurers, revealing dark secrets. Sure, the symbolism is layed on quite thick. And some of the performances are overly melodramatic. 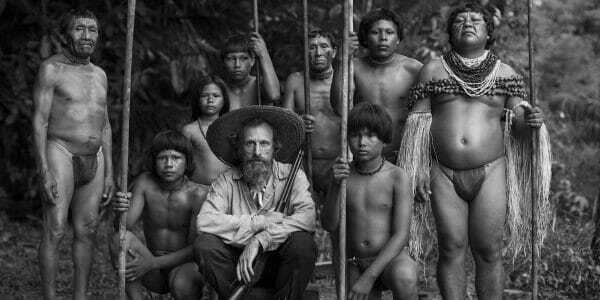 Yet, the cast, which consists of actual rain-forest tribesman, does a spectacular job in transporting us back through history into a virtually unknown/unseen place. Kudos to filmmaker Ciro Guerra for demanding authenticity. Karamakate sees the world with young eyes. An older (wiser?) Karamakate on a new adventure. 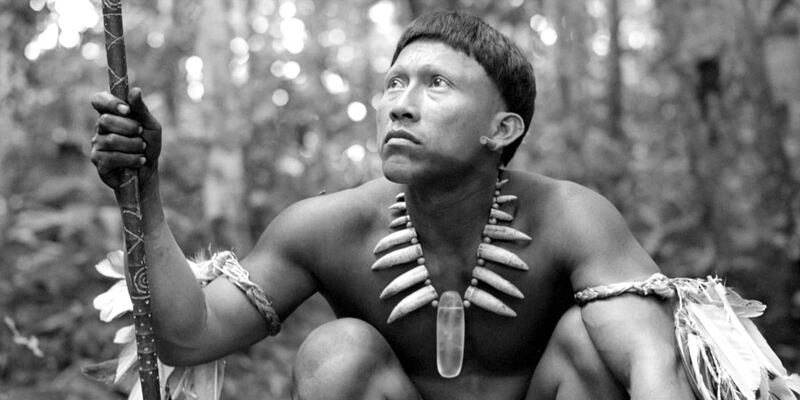 The magnificent people of the Amazon. These two complementary scientific quests vividly dramatize how “civilization” threatens the beauty of an untamed world that exists beyond modern understanding or appreciation. Karamakate believes these “white men” have no restraint; resolutely (and prophetically) declaring that, if permitted, they’d eat all the fish in the river without any thoughts to the future. 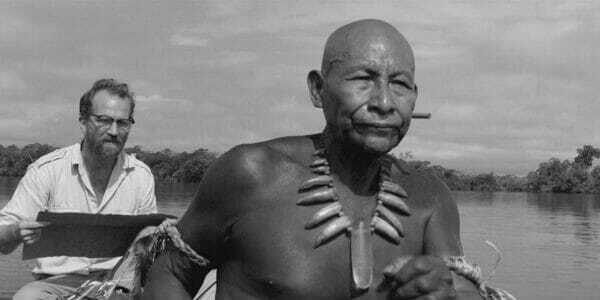 The haunting ‘Embrace of the Serpent‘ is a revelatory, beautifully crafted time capsule adventure and a potent cautionary tale that demands to be seen. Striking black and white photography and dark, mysterious settings imbue this haunting adventure with a foreboding that predicts the inevitable destruction of an ancient world and its noble people. The bold letter grade is the Final weighted score of the review. The sub-score reflects the harmony between – Art & Entertainment –. – Artistic –* Creative work defined by artistry above all else. Self-proclaimed Expert at Some, Master of None: Film Aficionado, TV Addict, Metalhead, Photographer, Computer Veteran, and one highly opinionated Blogger.